What started as a two-piece project after the disbandment of Chumped, Katie Ellen are making a name for themselves in their own right. Since seeing the band live this year on tour with Lemuria, I’ve been obsessed with their latest release Still Life. 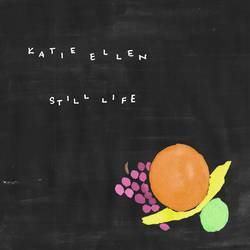 From the record’s hauntingly beautiful lo-fi appeal to the openness of the lyrics to the beauty in their simplistic style, Katie Ellen remains humble and raw throughout Still Life. “Lighthouse” sounds like poetry, even complete with a spoken-word clip in the middle of the song. Vocalist Anika Pyle places emphasis on even the simplest of words and it translates musically into a harmonious personal and emotional experience. “City/Country” has some of the most relatable lyrics and the way the music subtlety builds behind the vocals really allow both to shine. Title track “Still Life” sums up the record perfectly: “You can’t make love stay/Do your best to hold it in place.” The longest track “Adaptation of Para Todos” was a smart move—starting off with power-pop feels the song dives into instrumental bliss halfway through. And like the ending message in “Lighthouse (Reprise),” it just brings the record back where it all started; home. Posted Jan. 28, 2019, 7:47 p.m.
Posted Aug. 22, 2018, 2:13 p.m.
Posted July 7, 2018, 10:59 a.m.